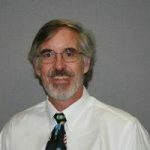 Disturbing 911 Call Dramatically Confirms Abortion Dangers Exposé: Tax Funded Abortion Training and the Betrayal of True Medicine at UNM Joseph "Tony" Ogburn is chair of the Ob-Gyn Dept. at The University of Texas Rio Grande Valley (UTRGV), in Edinburg, TX. 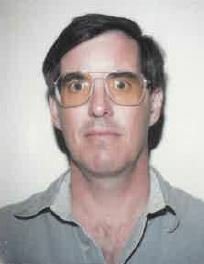 He was previously a professor at the University of New Mexico (UNM). 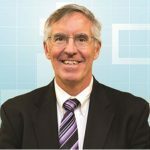 Note: The ob-gyn department at UTRGV plans to develop "comprehensive family planning services," and advertised for a doctor who had completed a Fellowship in Family Planning (abortion-training program). See documents below. 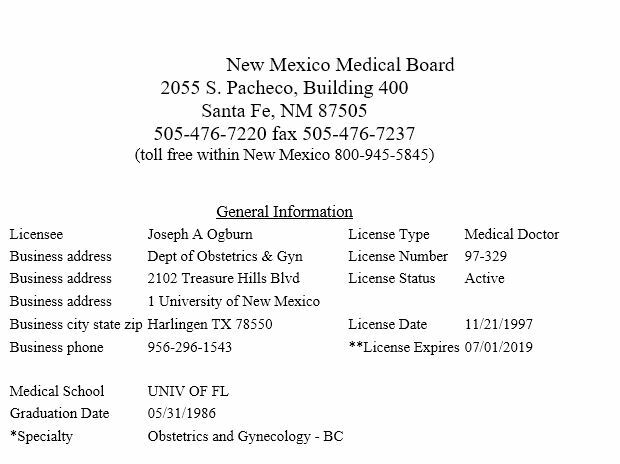 Screenshot of NM medical license; note Texas and New Mexico practice addresses. 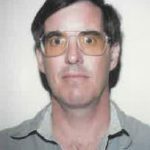 New Mexico medical license for Joseph A. Ogburn, valid through July 1, 2019. Lists practice locations in New Mexico and Texas. Charges filed against Joseph Ogburn for parking without a current license plate. Citation for Joseph Anthony Ogburn for speeding 10% or more above posted speed. Deferred disposition granted. 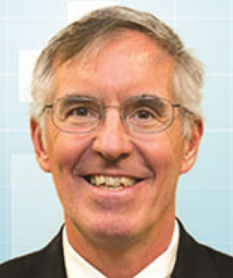 Photo bios: Includes Tony Ogburn, MD, Chair of Ob-Gyn, Professor, and Jennifer Salcedo, Program Director, Associate Professor. 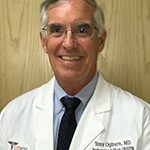 Profile for UNM Ob-Gyn Professor Joseph "Tony" Ogburn. University of TX Rio Grande Valley posts job opening for an abortion-trained doctor with required "completion of Fellowship in Family Planning." Job description implies developing future abortion training/services. 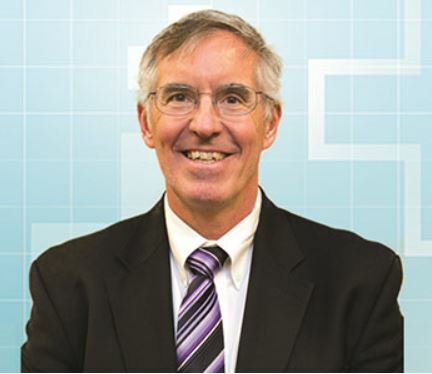 The job applicant "will also lead the development of comprehensive family planning services..."
Program directors include abortion doctors Joseph Anthony Ogburn, and Jennifer Salcedo. See pages 1-2. The University of TX Rio Grande Valley posts a job opening for a doctor with "Family Planning" emphasis. 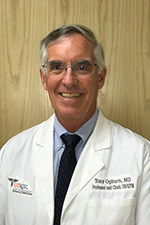 Joseph Anthony Ogburn begins a new job at The University of Texas Rio Grande Valley School of Medicine.